Jeanene was born in Pittsburgh, PA. As a young child her family was very active in the outdoors. Things changed when her parents decided to travel down different paths in life and with that decision so went many of the opportunities to enjoy the outdoors. Being lucky to live in the suburbs Jeanene always had a backyard to play in and loved being outdoors. As the years passed she took every opportunity to be outdoors. She bought land in Tennessee and as a single mom moved her young daughter to the mountains. The were many life lessons learned on that mountain. There was no plumbing on the property – or even a house, but that did not stop her. She learned to live off of what was available and built her own cabin from the trees on her property. Those were rough years but the most rewarding. Now Jeanene resides in Tampa, Fl. and works as an office manager full time….but still yearns to be outdoors. Jeanene started “Not a Clue Adventures” to teach everyone she could how wonderful the outdoors are! That camping and fishing and hiking can be done by everyone and at many different levels. Single mom’s no longer have to be afraid to take their sons and daughters outdoors. By working with young couples, single parents and even seniors, she gets to teach others about her love for the outdoors and hopes to open their eyes to new adventures. In 2009, Jeanene completed certification as a Leave No Trace Instructor. 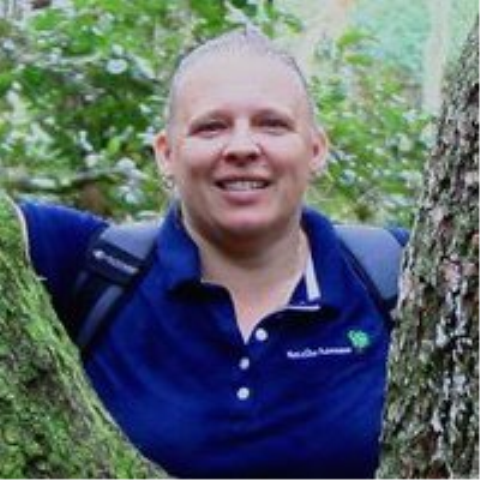 She also works closely with the National Wild Turkey Federation (NWTF), Florida Fish and Wildlife Commission (FWC) and the Florida State Parks. Nice Blog! Love the template. Looking forward to paddling the Suwanee in May! Keep having fun and introducing other to the outdoors. Would be happy to submit a few blogs for you – I am a bit behind and will be catching up here soon…I hope. Been very busy! Thank you for following thisfloridalife. I appreciate all of my followers and l look forward to reading about your adventures. Warm and sunny wishes! DISCOVER Goethe Trailhead Campground in Dunnellon, Ocala area.Florida at its best. State Forest is our neighbor with over 53,000 acres and 120 miles of trails ,reminds us everyday how fortunate we are to witness the peace and quiet surroundings , abundance of nature and star lit night sky. Sunsets and sunrises bring breathtaking and different experiences each day. Dunnellon has numerous head springs in the area and spring fed crystal clear rivers with great fishing, canoeing, kayaking, snorkeling or floating down the river. The temperature of the spring water is 72 degrees year round, definitely something to see and spend the whole day relaxing.